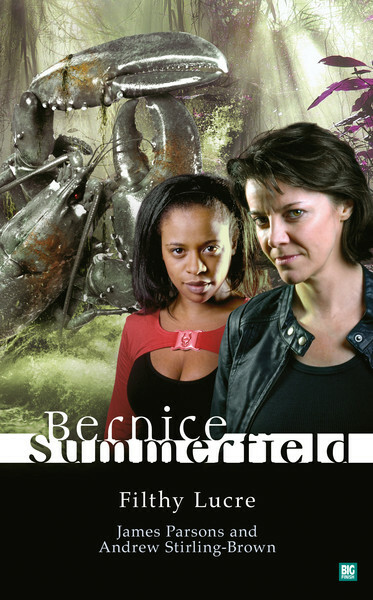 An adventure featuring time-travelling archaeologist Bernice Summerfield, written by James Parsons and Andrew Stirling-Brown. Money makes the world go round, as can a few too many strong drinks. But when Benny, in a fit of sobriety, agrees to do a pre-Advent favour for Irving Braxiatel, little does she suspect that a bit of corporate schmoozing with a fast food magnate is going to lead her into the biggest spin she's experienced for a very long time. In a whistle-stop tour of frontier planets, she encounters mysterious burials, guns and swords, legs and claws, lost treasure, mortal combat, conspiracy, stomach-churning posh nosh and a little man called Perkin. Oh, and love and war, again.